Hormones, such as human growth hormone (GH) and testosterone, have been shown to play a role in muscle hypertrophy and strength gains. Men suffering from GH or testosterone deficiency have increased fat mass, reduced muscle mass, and reduced muscle force production. The anabolic effects of testosterone on muscle mass are dose- and concentration-dependent. An earlier study demonstrated that supraphysiological doses of testosterone can induce increases in muscle size and strength in younger men without exercise. Testosterone-induced increase in muscle mass is associated with a dose-dependent increase in cross-sectional areas of both type I and type II muscle fibers. However, the mechanisms by which testosterone increases muscle mass are not well understood. The prevalent dogma for the past 50 years has been that testosterone increases muscle mass by stimulating fractional muscle protein synthesis. Testosterone administration primes skeletal muscle for growth by increasing net protein synthesis, even in the fasted state. The logical extrapolation of a continued increase in net protein synthesis is that it results in increased lean body mass and strength. Additionally, testosterone stimulates many other pathways besides just increasing protein synthesis rates, to stimulate muscle hypertrophy. Testosterone administration also results in increases in GH secretion, androgen receptor number, satellite cell activity, and increased IGF-1 expression in skeletal muscle. It has also been demonstrated that the increase in muscle anabolism is associated with an increase in the expression of intramuscular mRNA IGF-1. High-intensity resistance exercise has been shown to increase anabolic hormones, but there is confusion as to how important the acute increases in anabolic hormones are. There has been recent debate as to how effective the acute increases in testosterone concentrations are for increasing muscle mass. A couple of studies have suggested that acute increases in testosterone are not necessary for increases in muscle growth; this has led to confusion as to how to train. Researchers at the Exercise Metabolism Group at McMaster University reported that muscle hypertrophy took place without acute increases in anabolic hormone concentrations.10 Ten healthy, young male subjects performed unilateral resistance training for eight weeks (three days per week). Unilateral resistance exercise is where you train only one arm or in this case, leg (as opposed to both arms or legs), while the other arm or leg is used as a ‘control’ or untrained muscle. Exercises used in the study were knee extensions and leg presses, performed at 80-90 percent of the subject’s single-repetition maximum (1-RM). Blood samples were collected before, immediately after, 30, 60, 90, and 120 minutes post-exercise. Total testosterone, free testosterone, GH, and insulin-like growth factor-1, along with other hormones, were analyzed for the first training bout and following the last training bout. Thigh muscle cross-sectional area (CSA) and muscle fiber CSA by biopsy (vastus lateralis) were also measured pre- and post-training. No acute changes in GH, testosterone, or IGF-1 concentrations were observed in the 90 minutes following exercise, and there was no influence of training on the anabolic hormones measured. GH did show a moderate increase 30 minutes post-exercise, but returned to baseline values by 90 minutes. Training-induced increases were observed in type IIb and IIa muscle fiber CSA. No changes were observed in fiber CSA in the untrained leg. Whole-muscle CSA increased by in the trained leg and remained unchanged in the untrained leg. In conclusion, unilateral training induced local muscle hypertrophy in the exercised limb only, which occurred in the absence of testosterone, GH, or IGF-1 circulating levels. 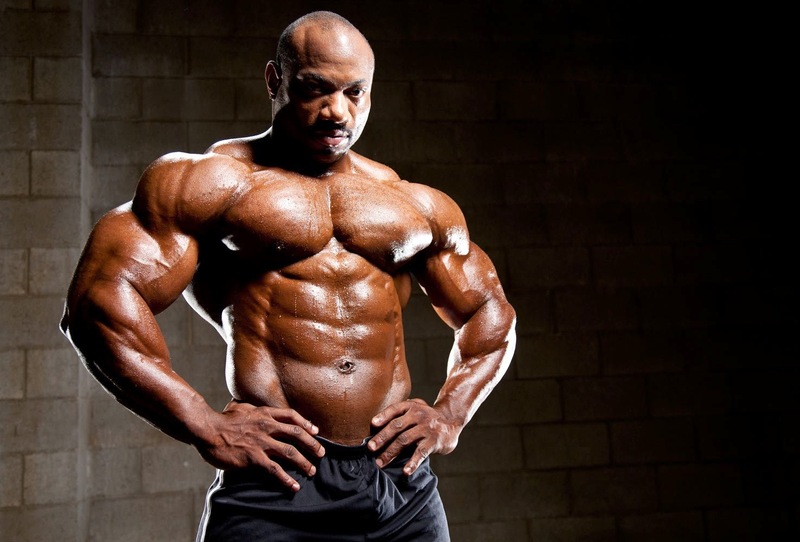 So I guess acute increases in anabolic hormones are a waste of time… well, not so fast. A new study was published which really emphasizes the importance of acute anabolic hormones during resistance exercise. High-intensity exercise has long been shown to increase testosterone and GH levels, but researchers recently published something in the Journal of Steroid Biochemistry and Molecular Biology that emphasizes the need for high-intensity exercise and backs up what Dr. Kramer has been saying for years. Those who say that acute increases in testosterone are not necessary are missing an important point: acute increases in resistance exercise-induced elevations in circulating T potentiate gains in muscle strength followinglong-term training. Researchers wanted to know if acute increases in exercise-induced testosterone had any effect on the androgen receptor, which has been shown to influence muscle hypertrophy. Group A: Young male subjects performed heavy leg extensions only, and immediately had a thigh muscle biopsy. Group B: Young men performed high-intensity heavy resistance exercise with both upper- and lower-body work. They performed bench presses, bent rows, and overhead presses. Afterward, the group performed heavy leg extensions followed by a muscle biopsy from the thigh. The researchers had the subjects perform an upper-body exercise with lower-body exercise to elicit a large increase in anabolic hormones. While both groups had a muscle biopsy taken from the thigh after heavy leg extensions, the only difference was that one group did some upper-body work, which enhanced testosterone production. The group that performed high-intensity, upper-body exercise and lower-body exercises had larger increases in testosterone than the group that only performed a lower-body exercise (i.e., leg extensions), but here is the really cool part. The group that performed bench presses, bent rows, and shoulder presses had a larger increase in androgen receptor function in their legs! I am not advocating a whole-body workout, but what the study shows is that the greater the increases in testosterone, the greater the increases in androgen receptors… even in different body parts (i.e., legs). So now you have a study showing that you can increase androgen receptors to a larger extent by the acute increases in testosterone.12 This means you could possibly see some growth in your arms, chest, and back by sticking to exercises that generate large increases in testosterone. I remember reading an article where a bodybuilder swore that doing heavy squats increased his arm size. Based on the current study, this all makes sense. In the study, the acute increases in testosterone were enhanced in the legs by doing high-intensity, upper-body exercise.